But I still can't imagine that the US government is so cynically bloodthirsty as to orchestrate the deaths of 3,000 westerners in the 9/11 fireworks, or of the hundreds of innocent Africans in the embassy bombings in 1999, both of which Barrett argues they did. The latter massacre is both openly acknowledged by Zawahiri and the plan has been documented and culprits found (but can we believe anything we read?). Curiously, there still are no smoking guns on 9/11, despite its miraculously flawless operation and the melting of the buildings into a pool of hot metal. Yes, eminent scientists insist that the official version is scientifically uncredible, and proffer various possibilities of there being no planes, robotic planes, pre-planned demolition bombs planted, and more. But the disputes over what could have happened continue. Then there is cui bono (who benefited). But proof of conspiracy does not live on cui bono alone. I have long assumed that the US government and elite are the bad guys and must be fought. Just how they manage to pull off their many grand schemes is not easy to trace, and I am grateful to Barrett and others for following the trail as best he and his truther colleagues can. Another American legend of investigative journalism is Seymour Hersh, author of Chain of Command: The Road from 9/11 to Abu Ghraib (2004), who insists the only way to bring the US government to account for its blatant lies is if western journalists can find their backbone. In June. He spoke to London journalist students recently after his expose of the lie of Bin Laden's assassination (which the New Yorker refused, and which then went viral thanks to the London Review of Books): "Our job is to find out ourselves, our job is not just to say – here's a debate' our job is to go beyond the debate and find out who's right and who's wrong about issues. That doesn't happen enough. It costs money, it costs time, it jeopardizes, it raises risks. There are some people – the New York Times still has investigative journalists but they do much more of carrying water for the president than I ever thought they would … it's like you don't dare be an outsider any more." Neither Blum nor Hersh have tried to parse 9/11, complaining that the government denies public access to key documents. To date, the smoking gun is the 28 redacted pages of the Joint Intelligence Committee Inquiry of 9/11, censored by the government but seen by Senator Graham during his official work on the 9/11 investigation. They point a very strong finger at Saudi Arabia as being the principal financier of the September 11 attacks and Saudi ties to some of the alleged hijackers. It also gives evidence that Saudi support of bin Laden lasted years after 9/11 (as did of course the Pakistani ISI). The messy "terrorist" events of 9/11 and other suspicious such events before and after require monitoring and analysis, which Barrett does zealously (and the massive government bodies supposedly created to do this don't). Whether or not all of what Barrett claims is true, the debate is stimulating and instructive. His fine analytic skills should have more outlets than just bombings and state-supported violence. But that's the fare we're handed. I'm glad he can stomach it. 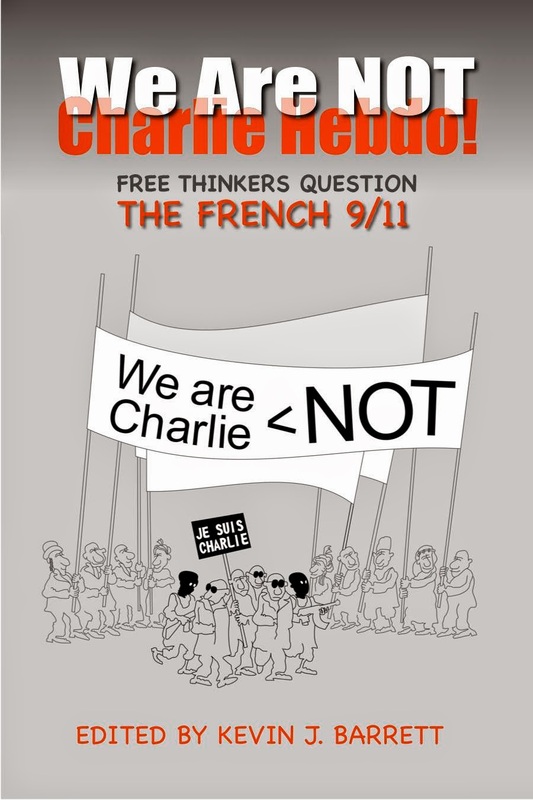 There is no question that the Hebdo journal was/is scurrilous and was intentionally provoking Muslims, that the editors had every intention of creating an event of some kind. They got more than they counted on. Evidence of government complicity is not convincing, though the state moved in quickly to respond, cracking down in various ways and sponsoring an orchestrated campaign of mass outrage, mobilizing four million a few days later. The phrase “Je suis Charlie” became a worldwide advertising brand name supposedly supporting free speech and opposition to violence. Suspicions about it being a false-flag operation are shared by a wide variety of public figures. *Ankara Mayor Melih Gokcek said that “Mossad [the Israeli spy agency] is definitely behind such incidents . . . it is boosting enmity towards Islam.” Gokcek said Israel staged the attacks to retaliate for French recognition of Palestine. *Ali Sahin, a parliamentarian and foreign affairs spokesman for the ruling AK Party, listed no less than eight reasons why the Charlie Hebdo affair was a false flag. *Alexander Zhilin, director of the Moscow Centre for the Study of Applied Problems, said the attack was retribution for Hollande’s calling for an end to anti-Russia sanctions. So which is it? Retaliation for French recognition of Palestine, one or more of Sahim's eight reasons, France ending sanctions against Russia, generic CIA dirty deeds? “I am sure that some American supervisors are responsible” is not proof. 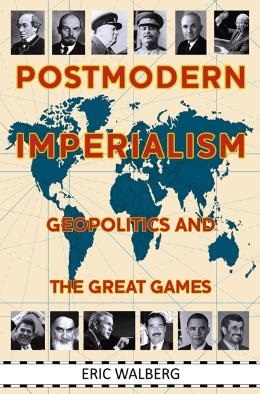 Barrett's book is a collection of essays from the anti-imperialist spectrum. “Some think it was a false flag, others that it may have been a false flag; while still others choose not to pursue such lines of inquiry.” This is still where we are. There is no question that France is plagued by Islamophobes and Zionists, and the orchestration of the 'I am Charlie' demos within days of the shootings and the subsequent patriotic hysteria is indeed suspicious. Jean Marie LePen call the event a false flag by French intelligence agencies―and then got beat up, and had his house burned down. The Charlie Hebdo affair certainly follows the logic of Operation Gladio, NATO’s false flag terror program that infiltrated radical leftist groups and killed hundreds of Europeans in attacks falsely attributed to leftists during the Cold War. 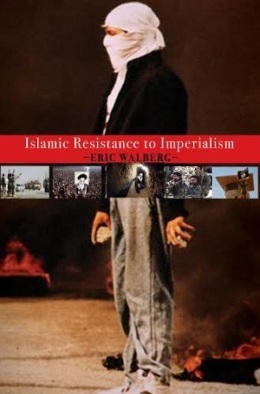 With the disappearance of the Communist enemy in 1990, Operation Gladio morphed into Gladio B,a false-flag wave of terror to demonize Islam and accomplish various geo-strategic objectives. Writes Alain Soral, in his contribution to We Are Not Charlie Hebdo, “The Empire Strikes France”: “Operation Gladio and the “strategy of tension” aimed to neutralize these forces of resistance by preventing them from coming together in an alliance of “moral values of the right, labor power of the left” and ensuring that they would fight to the death against each other. That was the purpose of the assassination of Aldo Moro in 1978. Today we have the hindsight to know that the red Brigades were manipulated by the US empire to kill Aldo Moro. Even though he was a Catholic bourgeois of the right, he was trying to forge a somewhat independent policy―on Libya in particular. Just how much encouragement/ infiltration the angry Parisian Muslims needed in January 2015 is moot. A much clear example of a false-flag attack was the anthrax attack of September 2001, later implicitly acknowledged by the US government as a false-flag attack from an American germ warfare lab, designed to incite hatred of Muslims and solidarity with Israel. Scrawled on the anthrax letters was the message: “Death to America. Death to Israel. Allah is great.” The islamophobic pro-Israel propagandist(s) who mailed these letters succeeded in killing four Americans and infecting another seventeen―and convincing Americans that Muslims could deliver WMD to anyone with a mailbox. The perp was never convicted, but the evidence is clear. 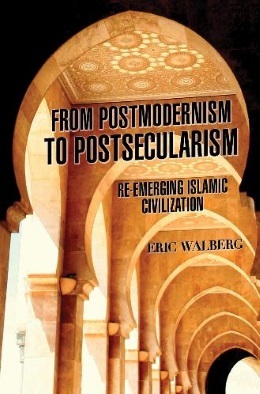 The first step in the out-of-control war against Islam is acceptance of Islamic civilization as an alternative to secular capitalism. A tall order, but what we have now is not acceptable. Hostile secularists will never concede this, but they can be restricted in their attacks on Islam by anti-blasphemy laws with some clout. So that is numero uno in our efforts. Writes Barrett: “The debate about whether religions deserve special protection such as anti-blasphemy laws is really just one facet of a larger debate over the role of religion in society: should our laws derive inspiration from religiously-based principles, or should religion be eradicated―or relegated to the status of just another “lifestyle choice” (which amounts to the same thing)? Those who stand by the former believes that the community’s collective right to uphold religious standards and maintain religious traditions trumps the individual’s right to blaspheme or to otherwise claim immunity from religiously-based strictures. The beginnings of such an interfaith effort may be seen in two recently-formed groups―one founded by Christians to promote Christian solidarity with Islam and Muslims and thereby protect Muslims from Christian attacks; the other founded by Muslims aiming to remind their fellow Muslims that Islam requires that they protect Christians. The first (Christians protecting Muslims) group is Bridges to Common Ground, founded by the former American Congressman Mark Siljander. The second (Muslims protecting Christians) group is the Covenants Initiative, founded by Dr. John Andrew Morrow, author of The Covenants of the Prophet Muhammad with the Christians of the World (2013), which explores documentary evidence that Muslims have been obliged to protect Christians since the earliest days of Islam. Another hopeful sign recently was Pope Francis's invitation to Naomi Klein to the Vatican to address their solidarity on the common cause of the two main world problems, poverty and environmental degradation. They are the direct result of capitalism, say both Pope and Klein (the Pope cited St. Basil of Caesarea's description of capitalism as "the dung of the devil") , requiring not just prayers, but collective efforts to transform our economic system. Barrett's book provides a depressing scenario with much truth behind it. All the problems of violence are not directly due to the CIA et al, but they have been abetting them for decades. Kudos to Barrett for collecting various false-flag hypotheses and the words of leading scholar-activists.